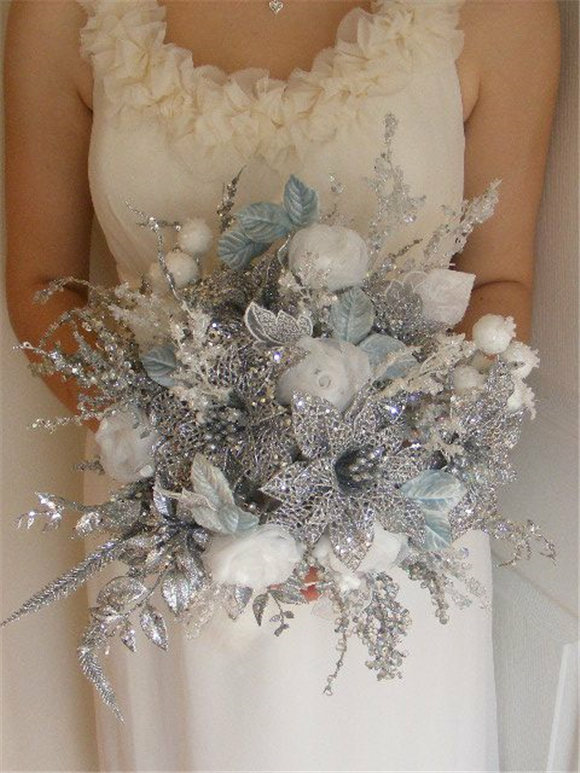 The special charm that winter gives is making the season one of the most popular seasons for holding a wedding. 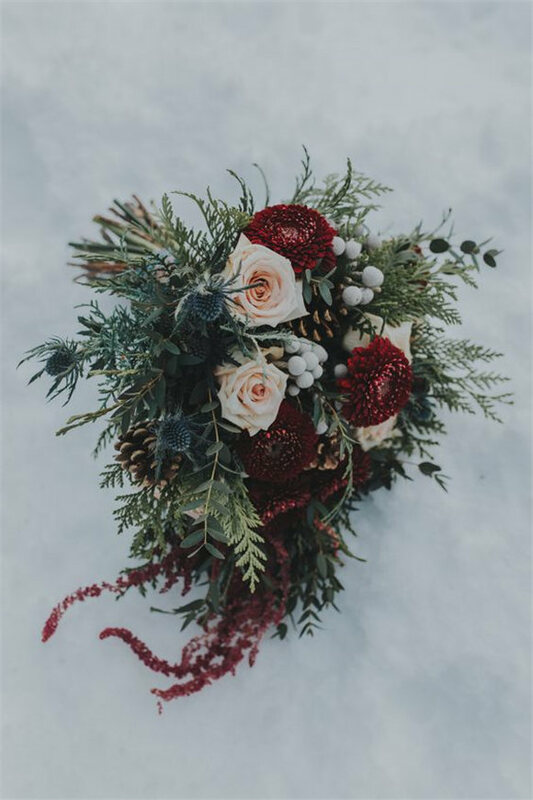 Everything is supposed to be related to the particular season, including winter wedding bouquets, which you will hold when walking down the aisle and during the whole wedding ceremony. 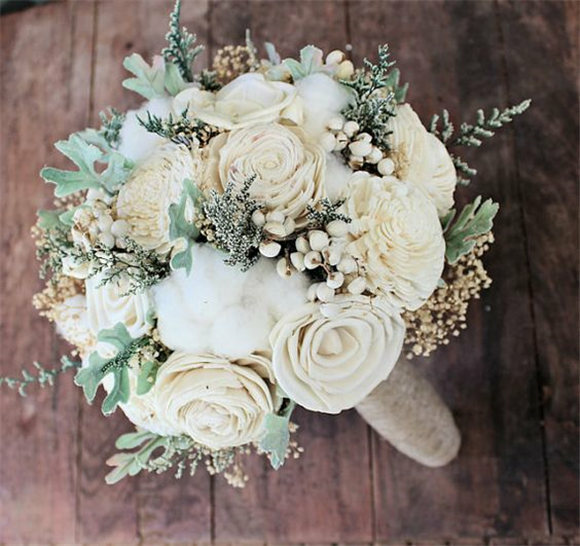 Choosing a right winter wedding bouquet might be not easy, but after reading the instructions we offer below may give you some help. 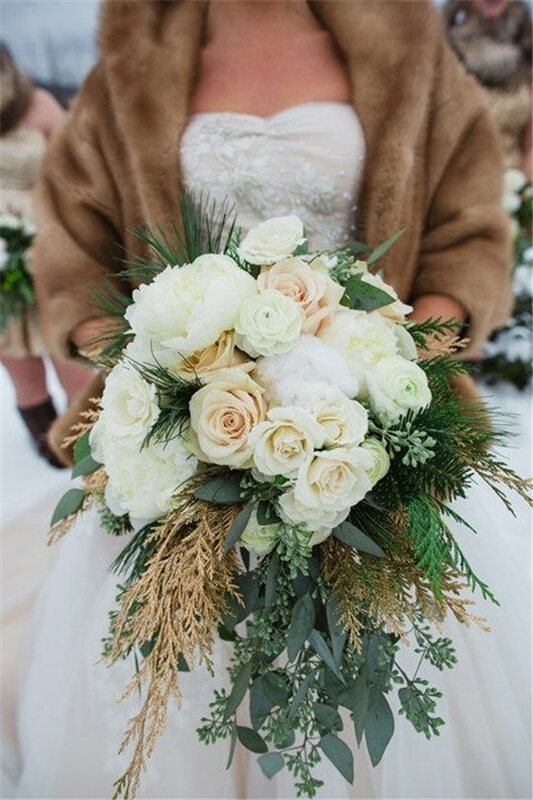 First of all, adding winter-related elements is a must. 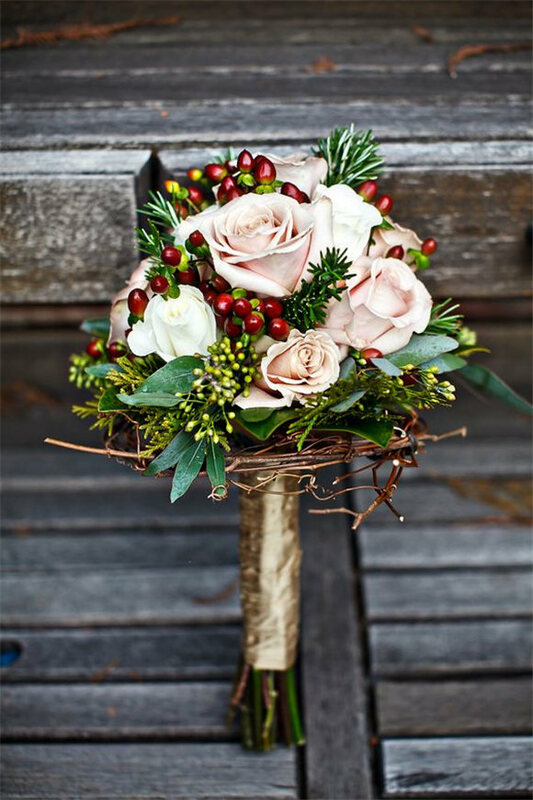 Details like succulent, pinecones and berries are all perfect elements you can add into the bouquets. 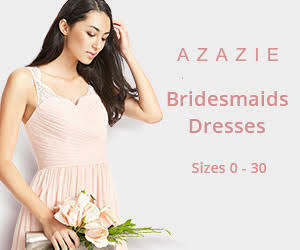 They will definitely complete your bridal look. 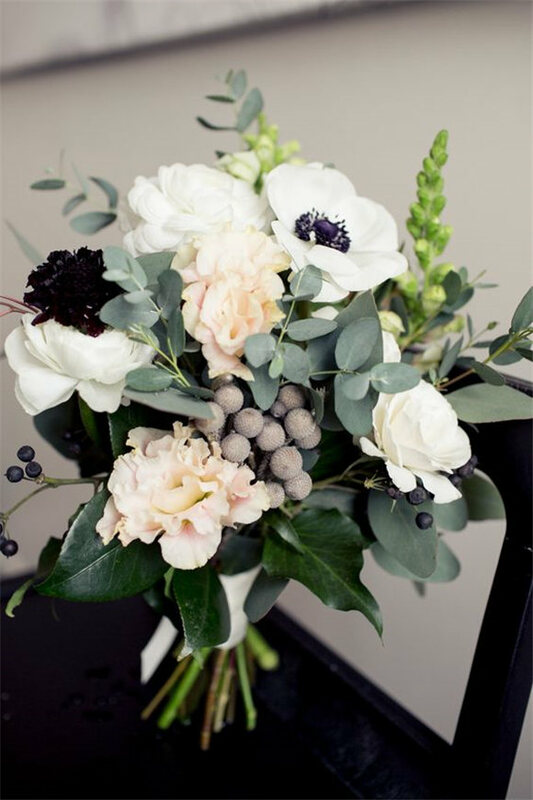 As bouquets are all about flowers, choosing right flowers is an essential part. 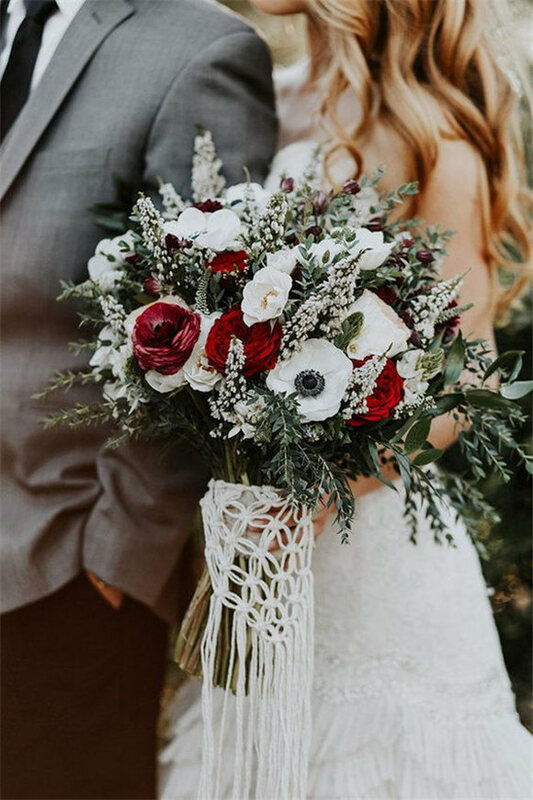 Since winter is a season for festivals, colors like red, burgundy, green and white are ideal colors that won’t be wrong. 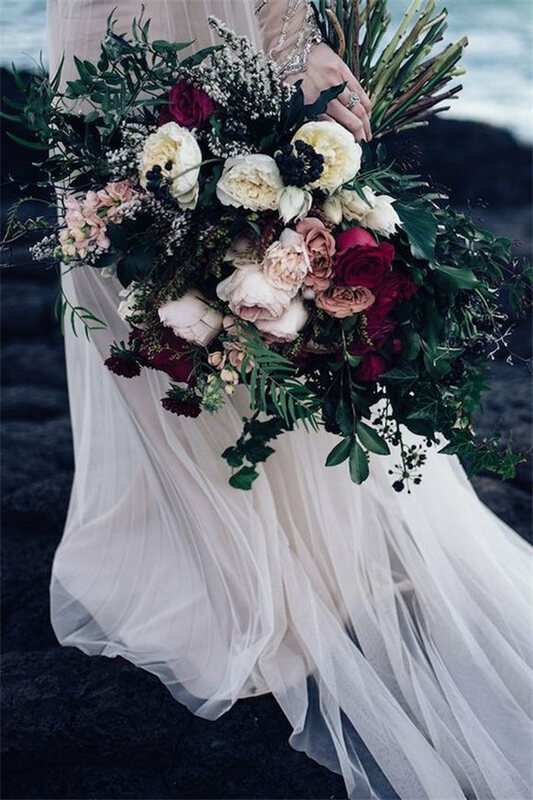 Always bear in mind that you are the center of the attention. 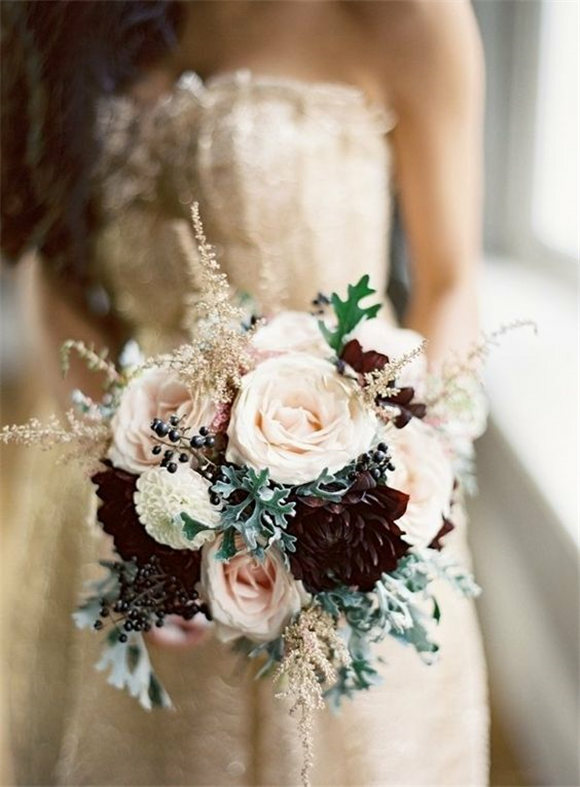 So make sure that your wedding bouquet is eye-catching but not too elaborate to steal your glam. 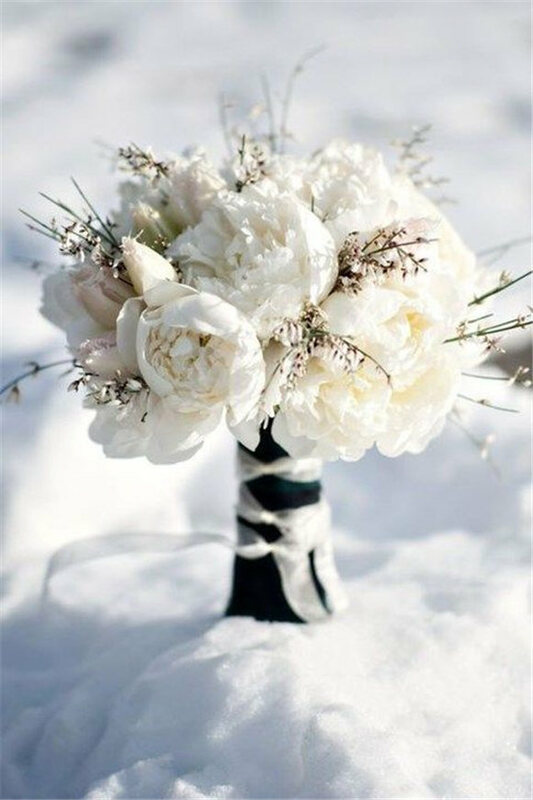 The most important is that the winter wedding bouquet should go with your bridal look and you are supposed to feel comfortable. 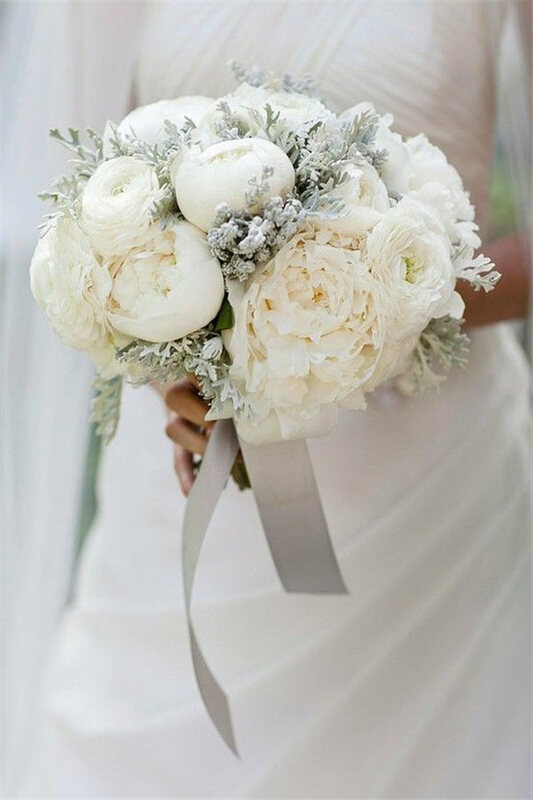 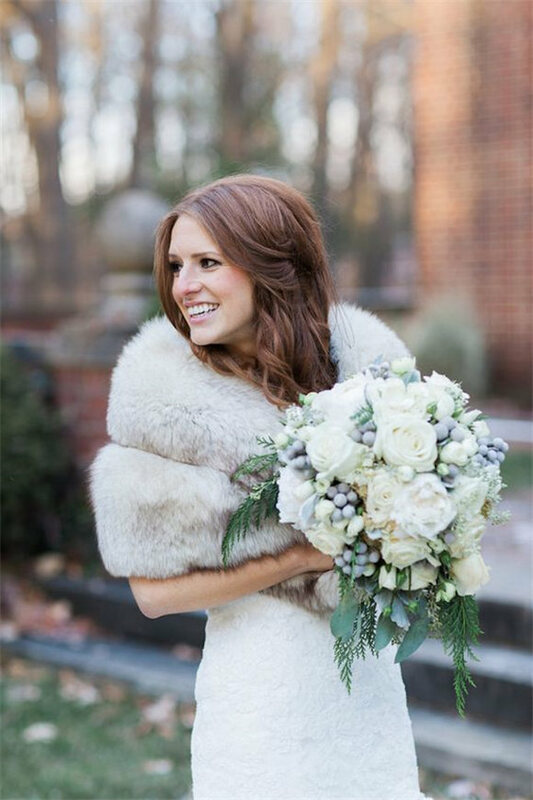 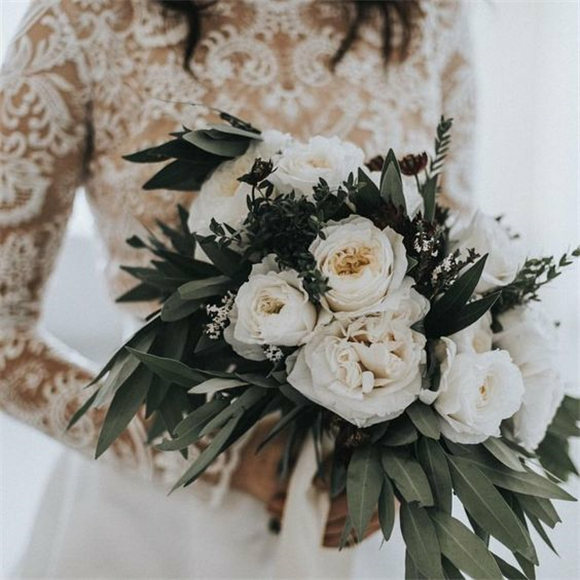 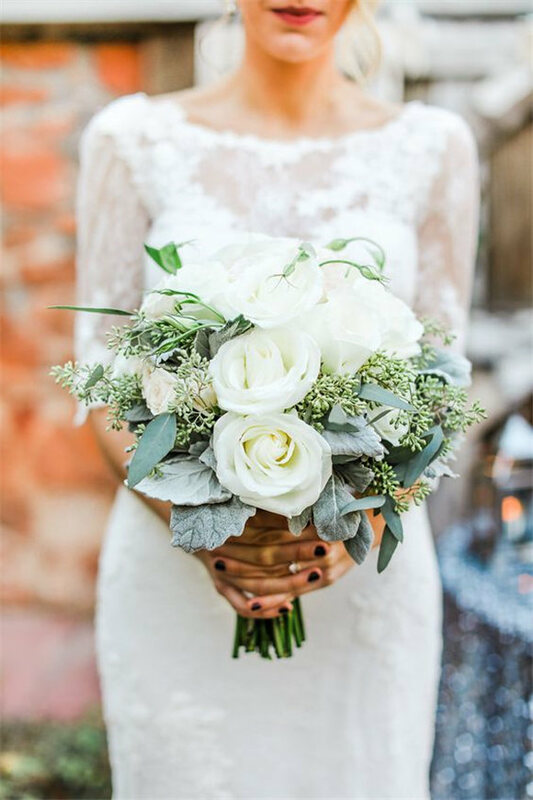 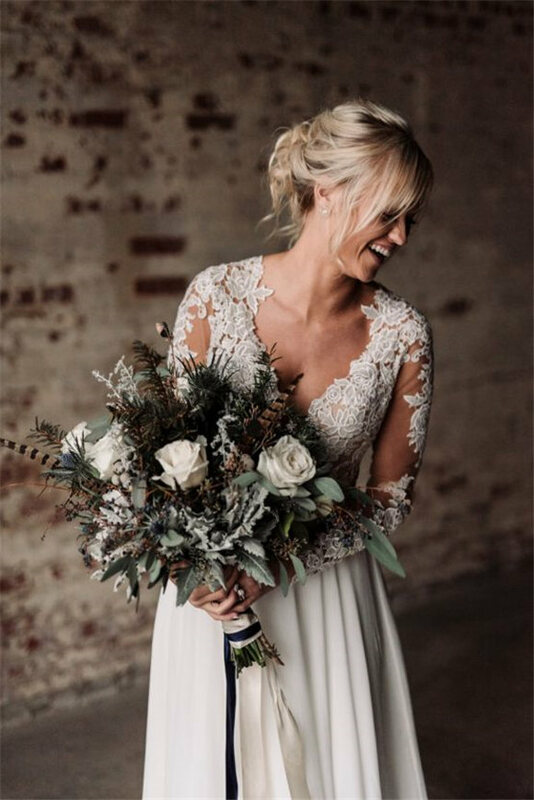 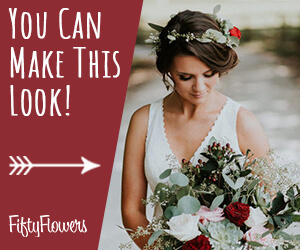 A gorgeous winter wedding bouquet will make your big day memorable and your friends will talk about it for years to come. 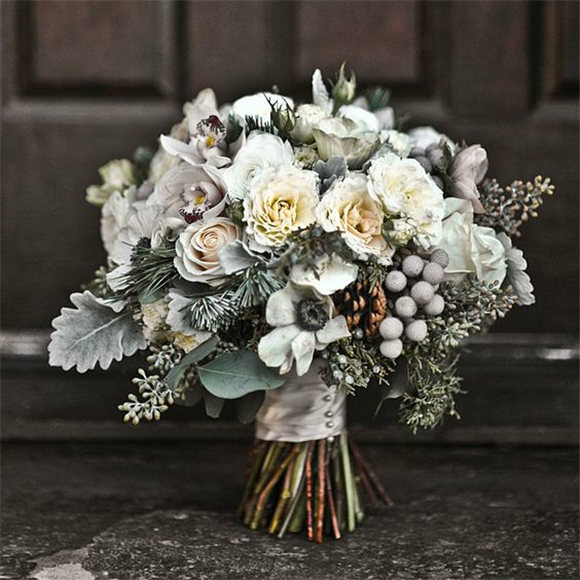 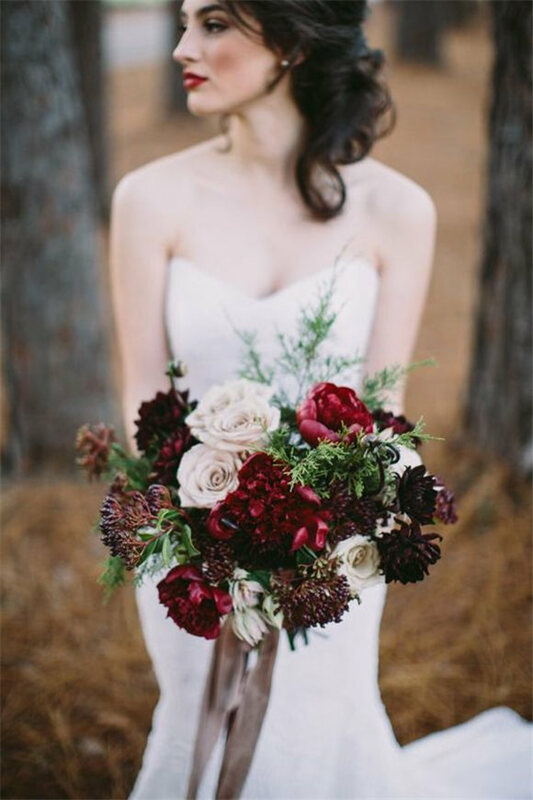 Scroll down to get inspired by our fabulous winter wedding bouquets ideas! 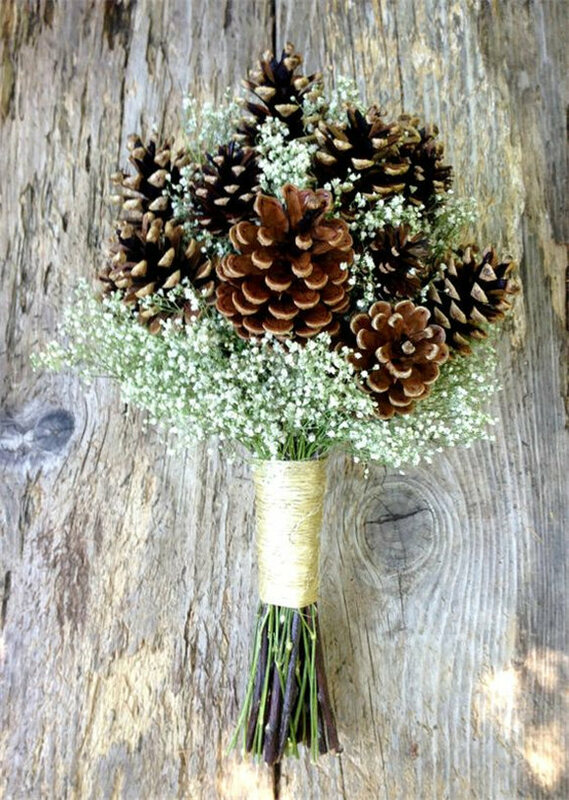 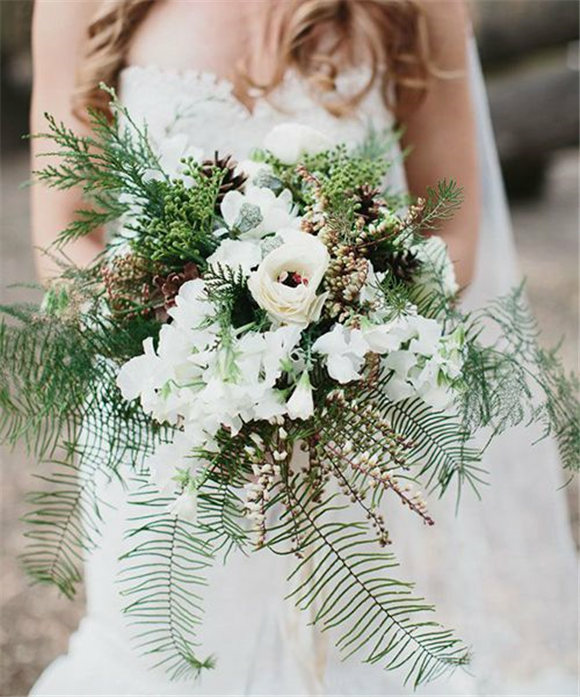 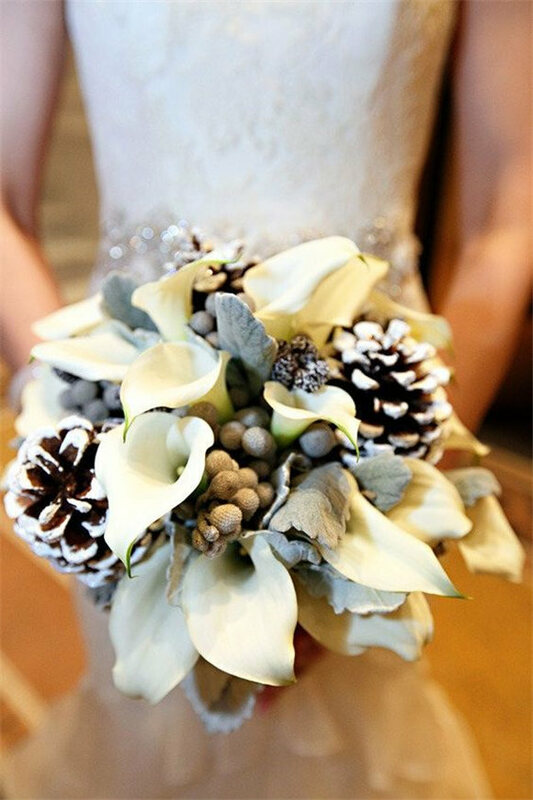 Winter wedding bouquet – love the idea of incorporating pinecones!